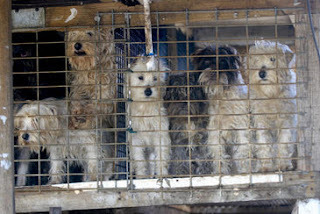 A puppy mill is a large-scale commercial dog breeding facility where profit is given priority over the well-being of the dogs. Puppy mills usually house dogs in overcrowded and unsanitary conditions without adequate veterinary care, food or water. 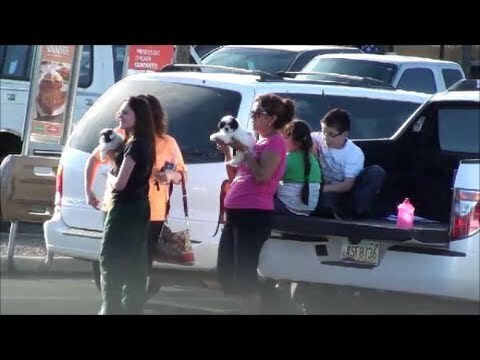 Puppy mill puppies are sold to pet shops or directly to the public over the Internet, through newspaper ads and at swap meets and flea markets. In a puppy mill, dogs are often kept in cages with wire flooring that injures their paws and legs. When female breeding dogs reach a point of physical depletion and can no longer reproduce, they are often killed. 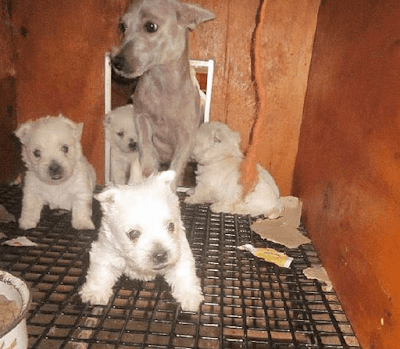 Because puppy mills focus on profit, dogs are often bred with little regard for genetic quality. 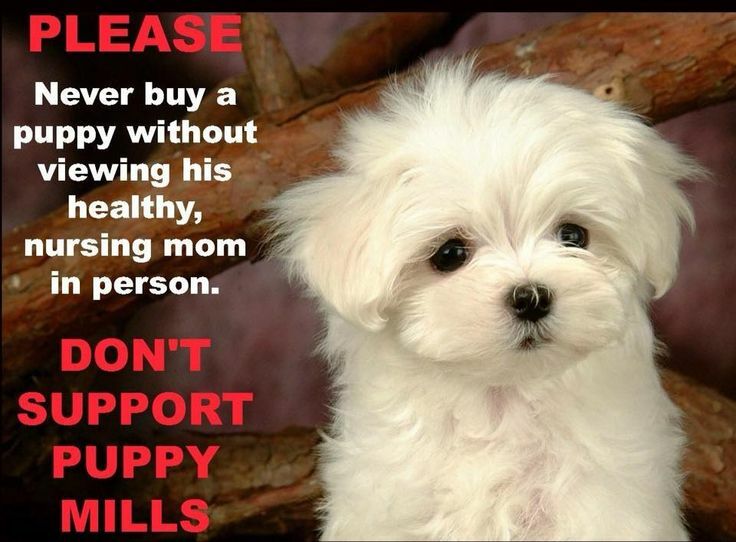 Puppy mill puppies are prone to congenital and hereditary conditions including heart disease and blood and respiratory disorders. In addition, puppy mill puppies often arrive in pet stores and in their new homes with diseases or infirmities ranging from parasites to pneumonia. Due to the conditions they were born into and grew up in puppies will suffer from fear, anxiety and other behavioral problems. 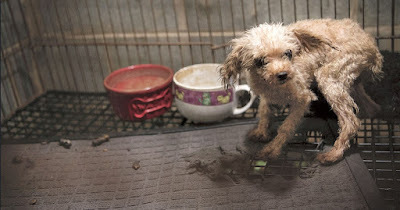 Not all puppy mills look this blatant. In fact, you may never see where your puppy grew up at because they will have you pick up your puppy "at a place closer to your home" to keep you away from theirs. Many times the hand off from breeder to new owner happens in a parking lot like the one above. 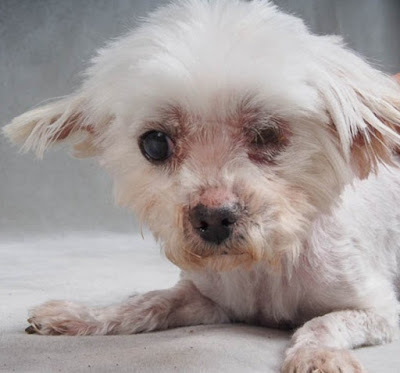 There is no legal definition of a “puppy mill,” so don’t be fooled by unethical breeders or pet store owners who show you “papers” or licenses to prove that their dogs are licensed or came from humane sources. The fact is, responsible breeders would never sell a puppy through a pet store because they want to screen potential buyers to ensure their puppies are going to a good home. The only way to avoid getting a puppy from such a place is to visit the home where your puppy was born and where his/her parents are. SAd, sad, sad Sally. 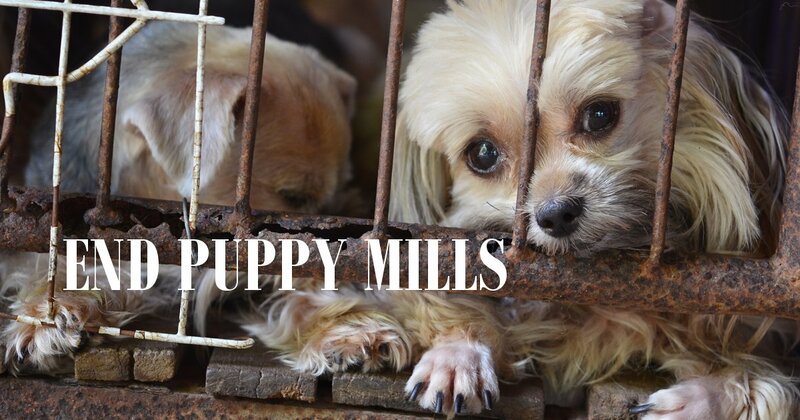 Is there anyway to stop puppy mills? 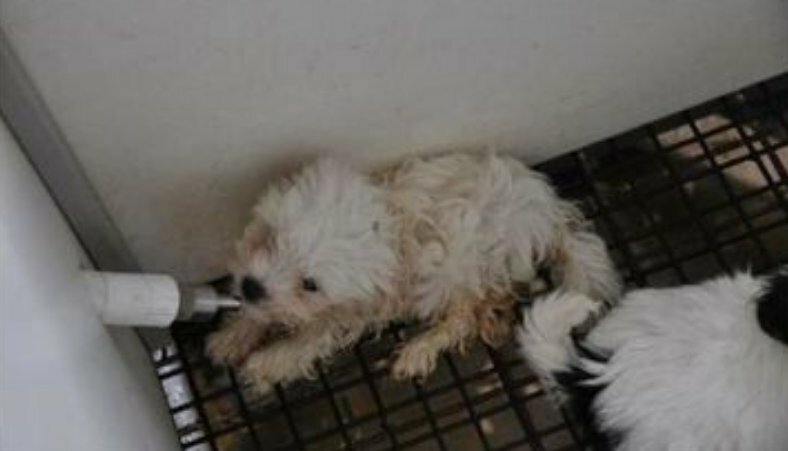 The photos are heartbreaking, and I feel so sorry for the puppies. Wish I could do something about it beside warn other people.